Beautiful 2 bedroom/2 bath villa with Duck Pond in backyard. Open living room dining room with wood burning fireplace and bookcase. Screened in porch and open back deck open off main living area. Upstairs loft has a large bedroom private sitting area full bath and small private deck. 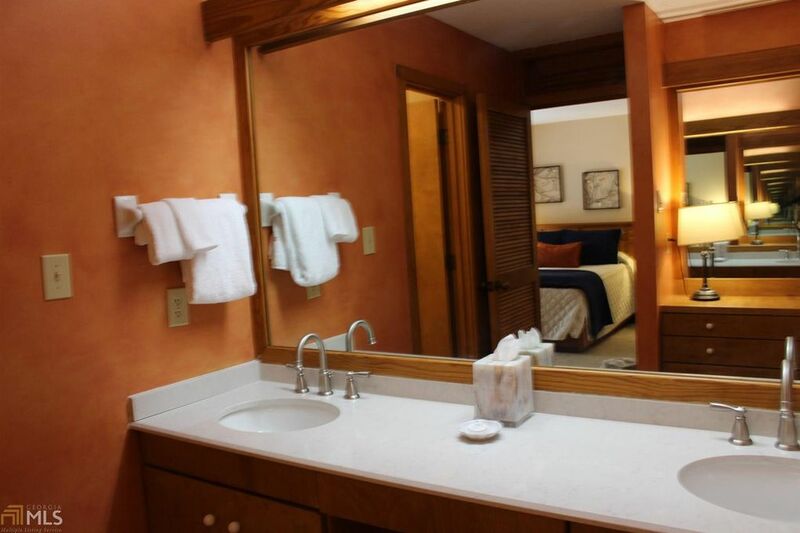 The large downstairs bedroom also has a sitting area full bath and private deck. The villa is fully furnished and ready to start enjoying from day one! This special villa is in the Callaway Gardens Rental Program. This property is offered fully furnished.